In celebration of the 39th anniversary of Khmer Riel Day, CPBank has always been actively involving in promoting the use of Khmer Riel in all its businesses. CPBank has been working with the National Bank of Cambodia (NBC) and other financial institutions to create a new service called “FAST” which allows customers of Banks and MDIs can do cross transactions of transfers and payments in KHR across the country. At the same time, the bank has launched a Cambodian Shared Switch (CSS), which allows customers to use ATM cards to withdraw or pay through all ATMs of the members’ banks or deposit-taking MDIs across the country such as CPBank, Prasac MFI, Amret MFI, Sathapana Bank Limited, and ACLEDA Bank PLC. CPBank also urges the use of the Khmer Riel in all transactions of its services such as Loan, Deposit, Money Transfer, ATM, Mobile Banking, Payroll Service, and other services. 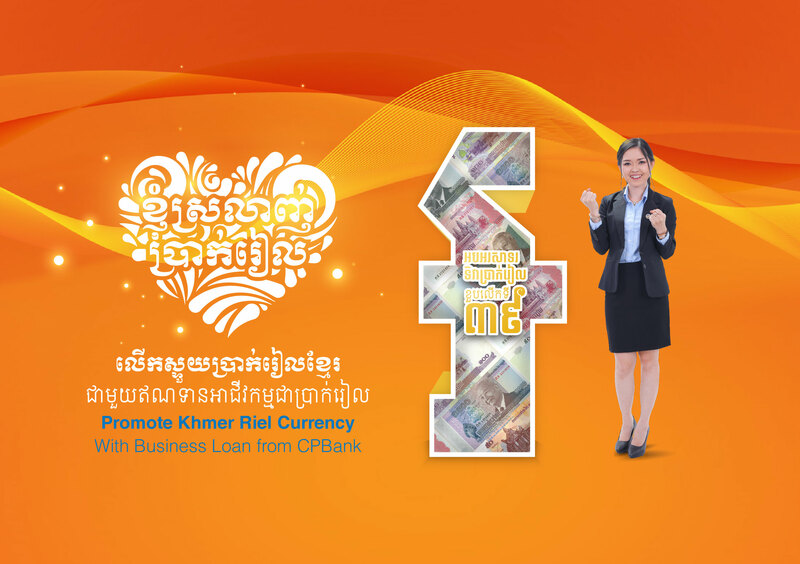 As also highlighted in the achievement as of February 2019, CPBank has reached its loan portfolio in Khmer Riel Currency up to 8% of its total loan portfolio. As per NBC’s Prakas, each bank or financial institution shall achieve a minimum of 10% of Khmer Riel Currency of its total loan portfolio by the end of 2019. In celebration of the 39th anniversary of Khmer Riel, CPBank wishes NBC and all related authorities a prosperity, happiness, joyful and fruitful successfulness. At the same time, CPBank gratefully acknowledges customers who have been continuing to use the bank’s services and wishing all customers successfulness and prosperity; and continue to grow together with CPBank ​sustainably.